Susu Attar will stage a performance developed in collaboration with guest musicians Sandra Lawson-Ndu and Sheila Govindarajan. Engaging with the works in the exhibition through sound and movement, the performance layers time, sound, movement, and objects into a collective experience of loss and catharsis. The Mistake Room is pleased to present Isthmus, an immersive experimental project by Iraqi-born, Los Angeles-based artist Susu Attar. This exhibition marks Attar’s first institutional solo show in LA. 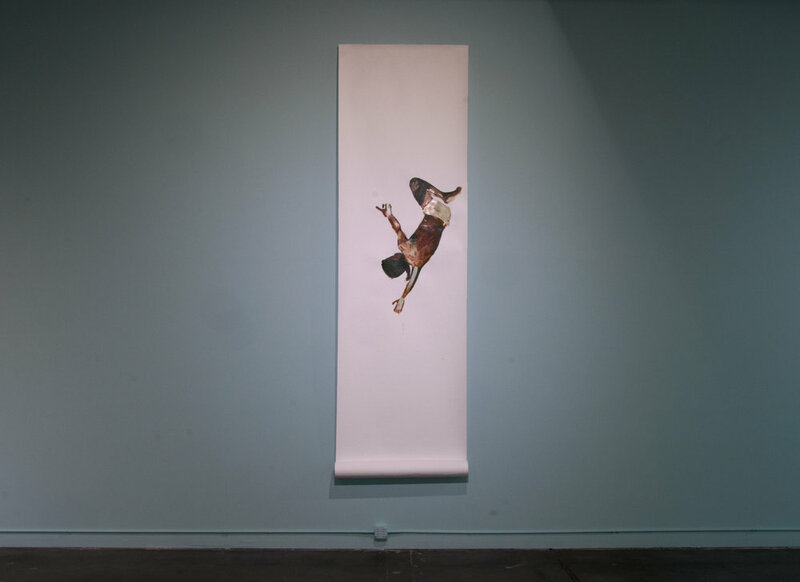 Attar’s practice explores the ways images of embodied subjects circulate in a media saturated world and how this digitized circulation impacts the meaning-making potential of pictures. For this project Attar takes media images from within contexts of violence and turmoil, and re-positions the corporeal forms that emerge from these moments through the language of painting. Using the gallery space as a kind of inhabitable plane or atmospheric terrain, Attar paints these bodies, isolated, on draping scrolls that are sited throughout the space—as if floating between air, water, and land. 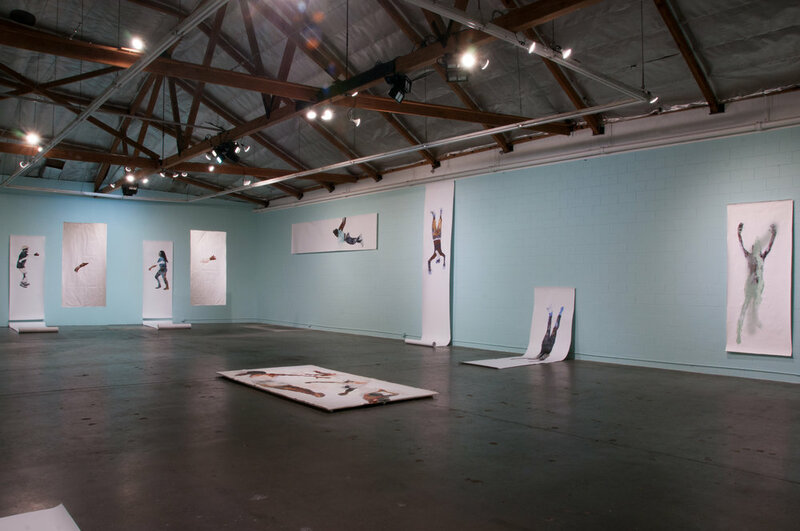 The human-scale figures spill off of the walls into the space of the viewer and onto the floor, placing the painted bodies and our bodies in a constantly shifting relationship. Pointing to the isthmus as liminal space between two worlds, the installation challenges the boundaries between photography and painting. Ultimately, throughout the various manifestations of her work, Attar leads us on a search for moments of empathy and transformation. In our role as viewers, we are engaged in a meditation on the fundamental importance of bearing witness, the work of art (its status as object and action), and the hope that lies in the transformative potential of the artistic gesture. Susu Attar: Isthmus is organized by The Mistake Room and curated by Kris Kuramitsu, TMR Deputy Director and Head of Program. Susu Attar (b. 1982, Baghdad, Iraq) is a multimedia artist who lives and works in Los Angeles. Her work has been included in exhibitions in Montreal, Mexico City, San Francisco, Dubai, and Minneapolis, among other cities. 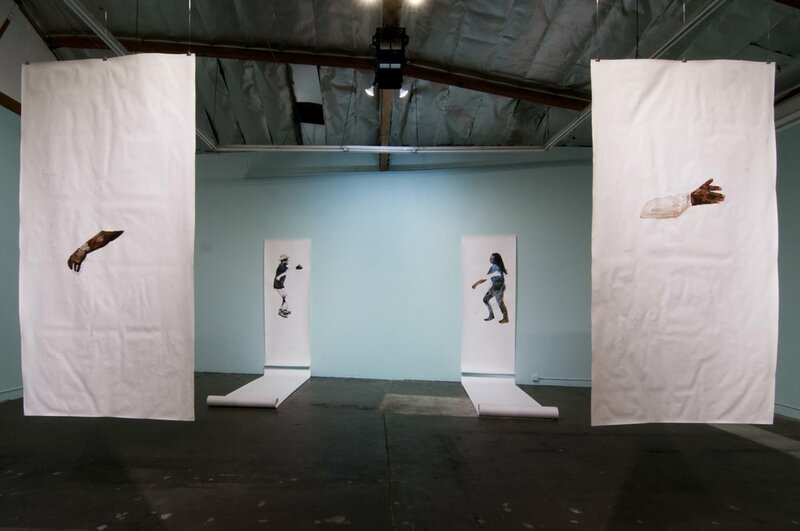 In 2018, she held two artist residencies in Los Angeles: one at The Main Museum, and the other as one of the inaugural participants in the +LAB Artist Residency through the Little Tokyo Service Center. She was also a finalist for the 2018 Los Angeles Artadia Award. Attar's practice extends to theatrical production and exhibition curating. Notably, she is a member of the SEPIA Collective, a women of color art collective whose work includes a traveling exhibition, ICONIC: Black Panther, in which artists respond to the legacy of the Black Panther Party. She has also co-produced and designed Haram, an experimental theatrical production inspired by the poetry of her mentor Dr. Maher Hathout. 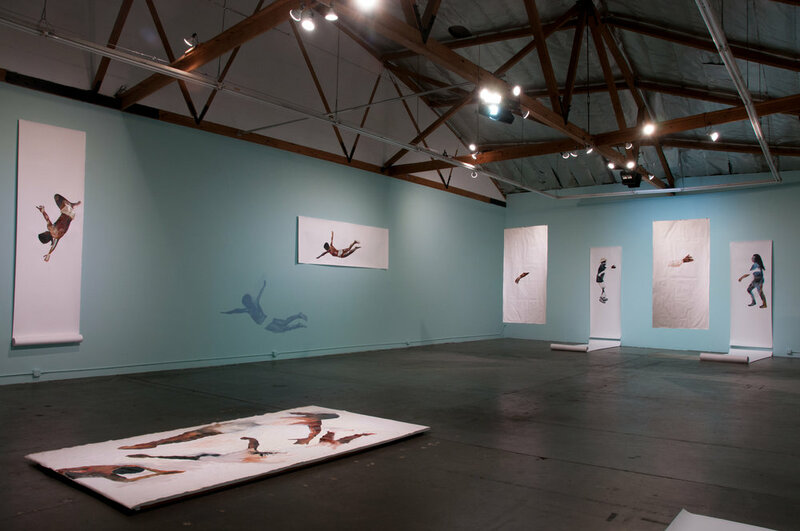 She holds a BA from San Francisco State University in Painting and Conceptual Information Art. The work in this exhibition was created with support of the Main Museum's artist-in-residence program. Generous support for this exhibition is provided by The Mistake Room's Board of Directors, Big Mistake Patron Group, International Council, and Contemporary Council. Photo Credit: Nicolas Orozco-Valdivia. Copyright 2018. The Mistake Room Inc.